IFD: Martin Heaney is one of the most regular faces on The Lough in Cork city. 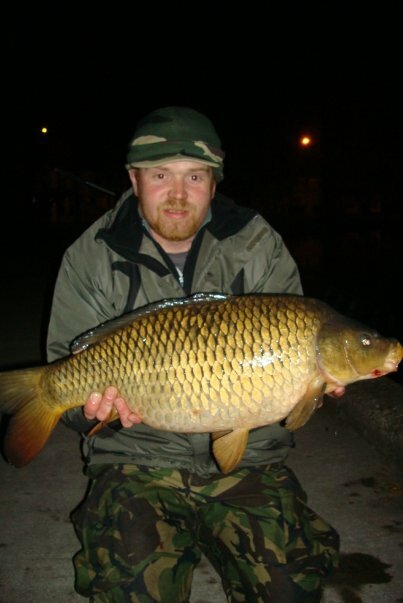 Martin has been carping for over 20 years and is one of the Lough’s most experienced anglers. Martin now fishes with his son Daniel and together they make a formiddable carping team. So over to Martin now for his interview…. How did you first start fishing? MH: My earliest fishing memories are of watching my grandfather pulling lobster pots and handline fishing for makeral from his small boat in Whiting Bay near Ardmore. My family spent a large part of the school holidays in his house in Ardmore. From there I moved on to fishing for makeral from the local pier. 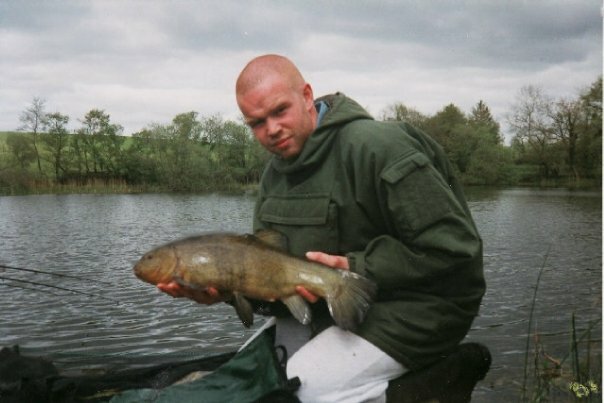 My course fishing starred in the early ninety’s when my friend Darren Keane brought me along to John A Woods quarry for pike in Ballincollig, and from there onto fishing for Bream in Inniscarra. And ultimately onto Ballincollig reservoir for carp and tench. From there I got the biggest thrill from carp fishing. These days i do the odd bit of sea fishing with my future father in law, but have to admit, Carp fishing is pretty much all I do anymore not that other spieces don’t interest me its I just love to fish for carp. Love the buzz you get from your alarms sounding to the how big is it before you get that first glimpse. Having my son Daniel taking a huge interest in fishing and seeing the same level of excitment i had is just the icing on the cake. Can you tell us about the fishing in Ballincollig? MH: Ballincollig for me began as tech free fishing at the start. Whatever rod that was available on loan, plain fixed spool on a loose drag. A can of corn and a few simple end bits all resting on a branch. Never carried a lot at the start as we cycled to the lake. Many sessions of seeing others land a few carp and regular blanks done little to keep me interested. But I stuck with it fishing there more and more and after countless blank sessions I had my first carp of about 5/6 lbs, off the surface and from then its been a love affair. From then on more friends like Jerry o Sullivan joined us and we met and made more friends in Tom Hilgrove, Paul Creedon and a very young Bill Brazier. Many many more names came to be known all through this sport or pass time. Fishing more and more and pretty much every weekend was spent on the banks of Ballincollig after that. Slowly the technical crept into my fishing after my introduction of the hair rig. From then on it was eventually home made pods, the alarms, original monkey climbers and proper shelters. Holidays were spent there and week long sessions were tried, not always working out exactly to plan. One year having set up with one of my brothers and planned and equipped to stay for a week, I fell from the observation tree breaking my back and needed an ambulance recovery from the bog. Gear was brought home by Darren, after word had gotten to him and fishing for me, stopped for a very long time. At the first opportunity, I think a year later, the week session was planned and it all worked out perfect. For many years after and many new faces ballincollig was my place to be over any other. 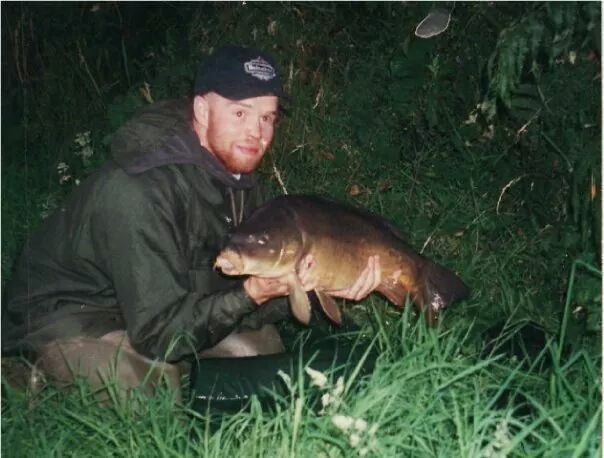 Over the years and all the carp I had there 15½ lbs was my biggest but had seen many larger fish landed by friends. You have fished the Lough in Cork city for a long time, can you tell us your advice for someone making their first trip to the Lough? MH: I had a few years break from fishing for various reasons including the birth of my son. Moving back to the city in ’05, opportunity to start casting rods again presented itself with the lough. Being only a few miles from it, getting there was easy from home. My approach differed very little from the old days of ballincollig, using pretty much the same gear and tactics. To be honest very little had changed in my kit. Baits and specialist tackle had become more readily available locally, so some improvement was made to my equipment. In ’05/’06 I was attending college in the city and a small travel rod lived in the school bag, for a short stop off on way home for a bit of stalking. During that year every opportunity was taken to spend a night there “to study”. School bag was always in the bivvy, to help pass the time. June ’06 I took the opportunity to camp out for a few days near the bus stop on the road side. It was my best result there or anywhere to that point, landing 34 fish to 22lbs and dropping or missing 30 odd more fish. Always felt losing fish was just another part of fishing, nobody likes it to happen but it just does. In the years since then, fishing has had its ups and downs. I’ve fished in France with success and had a blank that lasted for a year or more at home, obviously change was needed.My approach was always to keep it simple but these days its not that easy to do so. Better bait, new style rigs and a more technical approach was applied and results came back. No change was too big, and to be totally honest I’ve really learned from what I’d seen other anglers do over the years. I find the method to be a great approach specially early in the season although I do use it most of the year through. The Chod has made a more regular appearance in my fishing of late. The Zig is very new to me on the lough, with varying results but it has made a difference. I prefer, over any other method, to use subtle hooklinks of 8 to 10 inches long fished with a PVA bag of pellets. When it comes to the lough, I’m a firm believer in fishing it in darkness to early morning for best results. I find it at its best then. 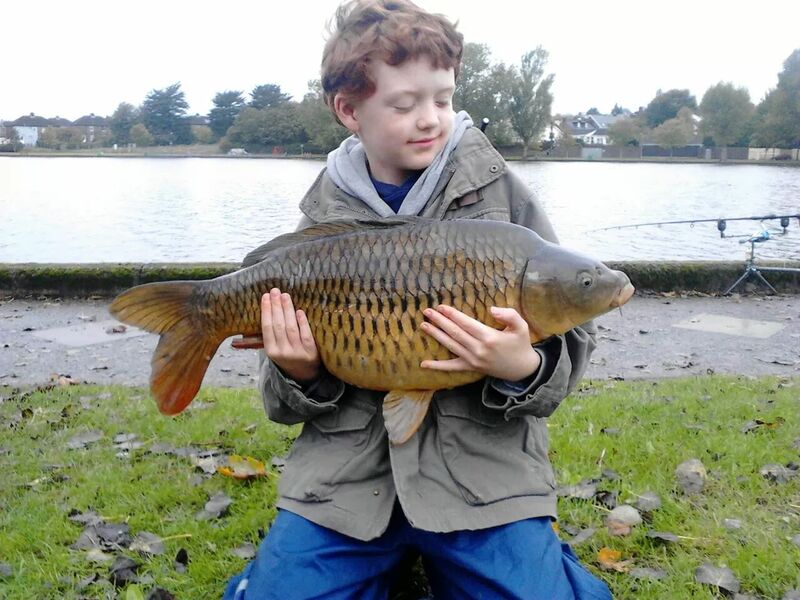 The last 2 years I’ve been bringing my son Daniel fishing on the lough, its great to see him take such a keen interest in carp fishing. Fitting in well with many of the anglers that fish in cork, he’s really getting among the fish each time he is out. As for advice to anybody fishing the lough for a first time, I feel that a lot of what is already successful for you on your own regular lakes will work on the Lough. It’s by no means a tough nut to crack anymore, having a massive number of fish and a fairly decent low/mid double average. Others know far more about it than I and its from these anglers I’ve learned what I know. Even after nearly 20 years since I started course fishing there’s still plenty I’m eager to learn. How does your approach change over the year for the Lough? MH: At the start of my fishing year in the colder months I tend to stick to PVA bags of pellets with a fishy strong flavour boilie. Chods are fished single pop up, and maybe a spomb full of pellets depending on distance. As it begins to heat up around April I swap out 1 rod to fish the method, using my own concoction of various bits, Corn, maple pea, chick pea, tiger nut, hemp. I’m a huge fan of fishing with particles as a hookbait, tigers and chick peas especially. I always tip a particle bait with a fake corn at this time of year. Generally speaking as soon as the spawning season arrives I stay away from the fishing and leave the carp at it, but always try get back on the water in hope to catch them shortly after when they are hungry. Later in summer and on into autumn very little changes apart from less methods and more chods. In the colder temps I keep it smelly and fishy, then in warmer water I switch to more sweet flavours. What has been you favourite lough session? MH: I touched on this earlier, June 2006, prior to my leaving cert. I returned to college to repeat it after 15 years out of school. 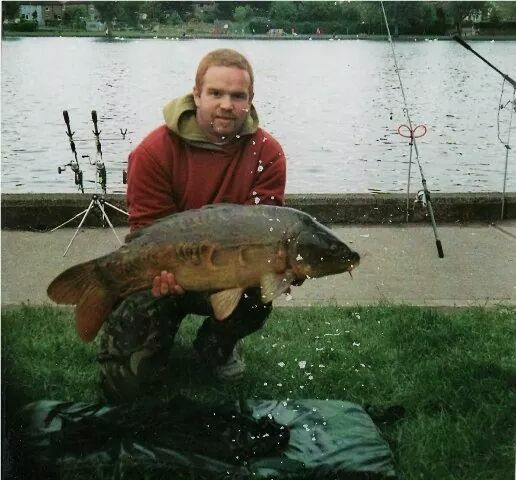 It was during this year I spent plenty time at the lough doing simple overnight sessions with mixed results. One particular few days at the start of June 2006 I fished from the bus stop on the road side of the lake. Baits and methods have faded from memory but the numbers always stuck. I have the session written down somewhere with all numbers, sizes, and details. It was a great few days fishing, didn’t get a lot of time to study. I landed 34 carp with a 22lb mirror still my Irish pub, a 17lb football common being the biggest fish. Dropped or missed 30 something fish despite changing hooks/rigs also in that session. I took it as it came. 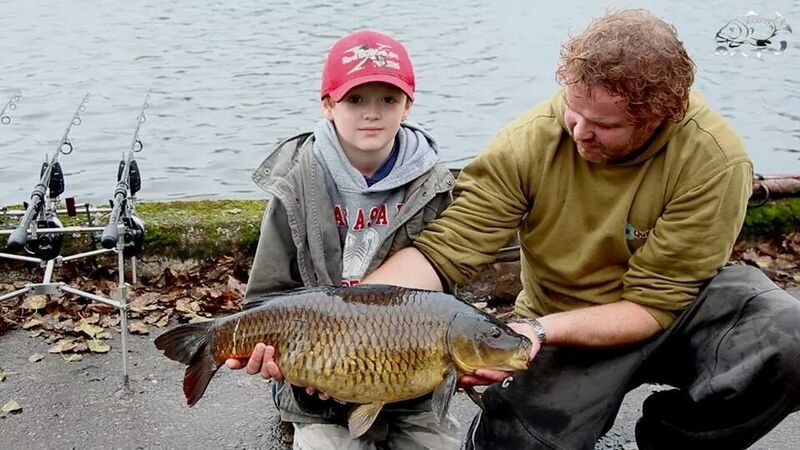 Your son Daniel is also a keen carper can you tell us about his fishing? MH: Daniel is 9 at the moment and has been going out fishing with me since 2011. He’s happy getting up at stupid o clock if its to go fishing. For a day session I’d leave home around 4am but he loves to camp out. Not great yet at getting out of bed for his alarms but loves to be camping. 2014 has been his best results getting his pb of 16lbs. His last few sessions have been a real delight for him, after he was gifted a set of superb rods from Gerry Heaps that originally belonged to Rob Coleman. The plan was to keep him on his own 11ft rods but he was far too excited about getting them bent, he went on to rig them soon as he could. He actually started to attempt tying his own rigs this year, and on the bank he definitely knows what he wants to use. Its his casting is his next thing to get the hang of. Altogether I’m seriously proud of him in his approach to fishing. 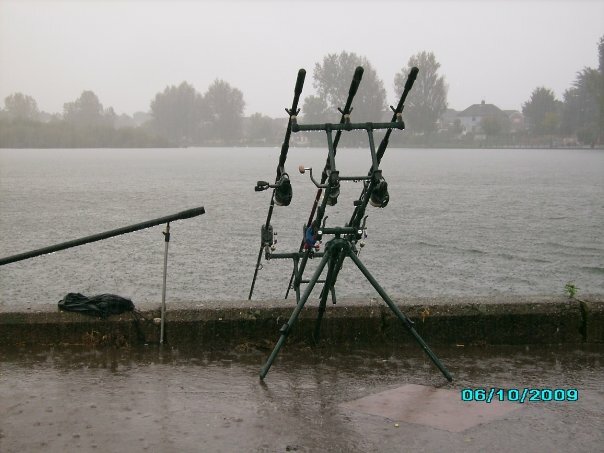 You done a session on Etang de Briguile in France, how was that experience? MH: Fishing in France was, to be honest not high on my list at the time. It was arranged by my better half Rose, and my friend Darren. It has been one of the best experiences of my life. We drove from our respective homes to the ferry in Rosslare, boarding a ferry to Roscoff. We arrived in France the day before we were booked in to fish. Had our meet and greet and had a very warm welcome. The week started slowly for me, starting with a bream and a few small carp but ended on a massive high with both of us catching plenty fish. 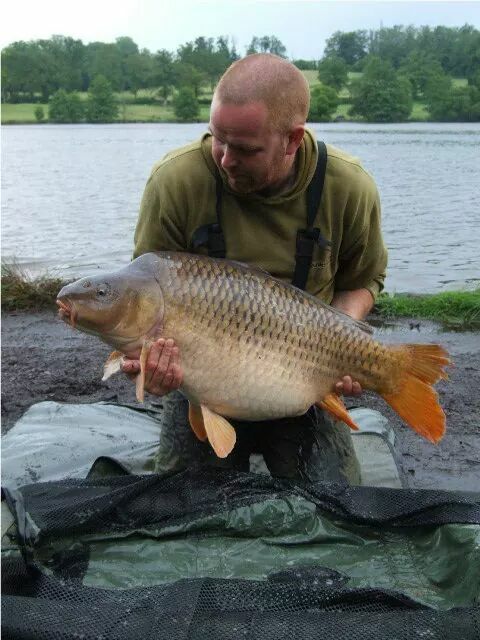 Highlights for me were “franks common” @37.11 and “the parrot”, a mirror @42.13. A fantastic venue with great service. MH: I’d love to go back to France and fish there again, definitely want to fish in Brigueuil. I’ve had opportunity to fish different venues around Ireland, such as the bog lough, Finnamores, Anglgrove. I’m not too ambitious in my fishing so local suits me. Inniscarra stands out as must do someday. Redmire would be a dream come through. What would be your dream Irish catch? MH: My dream Irish catch, I’d like to say I’ve had it with some if the real old original carp from the lough. A big land from inniscarra would be very nice. I don’t really have a dream catch I suppose, I’m happy to fish for whatever comes, be it 6lb or 20lb. MH: Pretty much continue as I have been, 2013 & 14 haven’t been the best years for my fishing. I’ve missed a lot of time fishing through injury or illness in this time. Recently I was accepted on the consultant team for Simply Baits UK. Over the years I’ve contacted many companies in regards to being a tester/consultant, with Simply Baits being the first to accept. I’d like to get involved with more companies next year. If my angling could continue as it is with my son next year I’d be very happy with that. As I said, I’m not ambitious in my fishing, I’m happy being the social angler, meeting new interested anglers and sitting with the kettle on. Well thanks a million for giving some of your time Martin and hope to see you on the Lough. 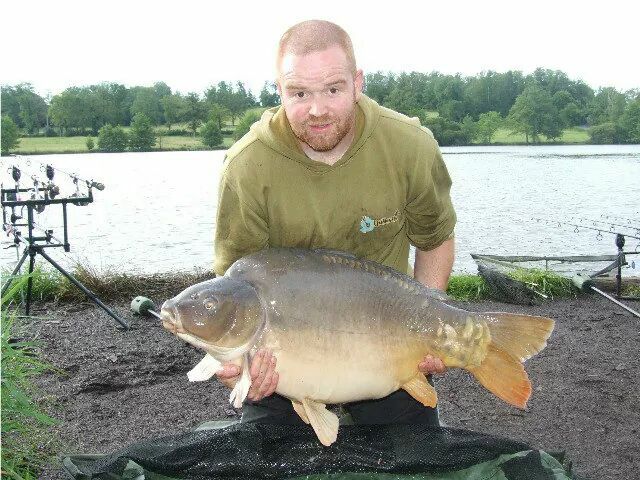 This entry was posted in Carp, Interviews and tagged carp, Martin Heaney, The Lough. Bookmark the permalink.